Markets have existed for pretty much as long as we have engaged in trade. The earliest examples of a marketplace were Middle East bazaars, from where they spread to Europe, Africa and Asia. This long history of marketplace trading ensured that online shopping quickly established itself on the nascent Internet platform, even before the term eCommerce became common parlance. One of the early pioneers of an eCommerce Marketplace was Amazon, which started life selling books in 1994. Now just over 20 years later, Amazon recently became the second company to reach a market capitalisation of $1 trillion, helped by sales of $178bn in 2017. This is somewhat of an enigma as their profits are just $3bn. I say, just $3 billion as this resulted in a P/E ratio of 93. Exact details of how many products are listed on Amazon are hard to find but Google has indexed 128 million pages for amazon.com and 27 million pages for amazon.co.uk so it’s safe to say, it’s a lot. From a consumers perspective, this means that pretty much anything you want can be found on the site and as a consequence, customers are starting their shopping experience on the Amazon site rather than Google. So given the sheer scale of this marketplace, Amazon must be a great place for retailers to do business, right? Well, whilst Amazon can offer instant access to millions of customers, there are some downsides for retail companies using this platform. Retailers come in all shapes and sizes, some with a nation chain of shops and an award winning website, others with a small number of niche products operating out of the spare bedroom. The former has a portfolio of sales channels and can offset any negative impact from their Amazon Marketplace but the latter is often tied to this one dedicated channel. It is this solo approach that puts significant risk on the retail business and one that could lose everything if Amazon chose to close the sellers’ account. Amazon is notorious for favouring buyers over merchants and have terminated plenty of storefronts for negative feedback and alleged product quality violations. The Amazon marketplace is a brutal cauldron of competitiveness, and whilst this isn’t unique to Amazon, it is perhaps heightened by Amazon’s own behaviour. It is not uncommon for Amazon to actively encourage new merchants to list their products in the marketplace, then monitor their sales data before finding a suitable manufacturer for them to sell direct themselves. Amazon uses this sales data to great effect, replicating the products, taking over the buy-box (the number one selling spot) and undercutting the original merchant on both price and service. One other aspect that favours Amazon over it’s marketplace merchants is the fees they charge. These are upto 20% of the selling price, which is calculated on the vat inclusive price, so what is shown as a 20% commission is actually a 24% charge to the merchant after vat is removed. For many retailers, their gross margins are not much more than this, if they are of that magnitude at all. So is it worth it and are there any alternatives? 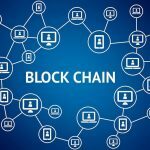 Each retailer will determine if the Amazon marketplace is worth the risk and cost but in regard to options, the future of eCommerce Marketplace can be seen within the Retail Blockchain ecosystem. Whilst retailers are concerned at managing risk to their business and finding ways to reduce costs, consumer concerns are centered around privacy issues. Amazon has an obscene amount of data. They not only know what we have purchased, they also know when (is this related to when we get paid? ), they know our likes & dislikes (measured in our browsing history, time on a particular page, search methods), our favourite brands, the time of day we shop and so so much more. Why is this data important to Amazon? It serves two primary objectives, first it allows them to target us to spend more money, and second, they sell this data to advertisers. Amazon knows everything about us, what we like & dislike, when we shop, how we shop, what we buy, what we don’t buy and perhaps even why. A blockchain eCommerce marketplace is different. It’s not controlled by any corporate entity. 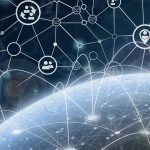 It connects people directly with each other via a peer-to-peer network of a distributed platform instead of storing it in a central database. Whilst it is technically eCommerce, it has its own term, pCommerce. What is pCommerce? This is the blockchain equivalent, peer-to-peer commerce, where buyers & sellers are able to transact with each other in a direct, transparent and secure way, decentralised from any controlling organisation and devoid from any onerous fees. In fact, most of the current eCommerce blockchain marketplaces are free to use, with no fees to either list or buy products. So where Amazon relies on third party companies like Visa, Mastercard & PayPal, a blockchain-based eCommerce marketplace facilitates payment direct between the buyer and seller, often in cryptocurrencies. And whereas Amazon takes and benefits financially from our personal data, a pCommerce blockchain marketplace protects the users’ data. Some of the better known Blockchain eCommerce Marketplaces available today include; Open Bazaar, Scanetchain, Blockscart, Soma, Cybermiles, GAMB, eCoinmerce, Bleexy and Origami Network. OpenBazaar is a free to use eCommerce platform that connects buyers & sellers via a blockchain-based marketplace. There are no fees to list items, and no fees when an item is sold, so it’s completely free eCommerce. There is no central company or organisation to control what’s listed. Each user contributes to the network equally and is in control of their own store and private data. Payments can be made with over 50 cryptocurrencies, including; Bitcoin, Ethereum, Litecoin, Zcash, Dash etc. Buyers & Sellers are protected by various features, including reviews, a multi-signature escrow payment system and independent moderators. 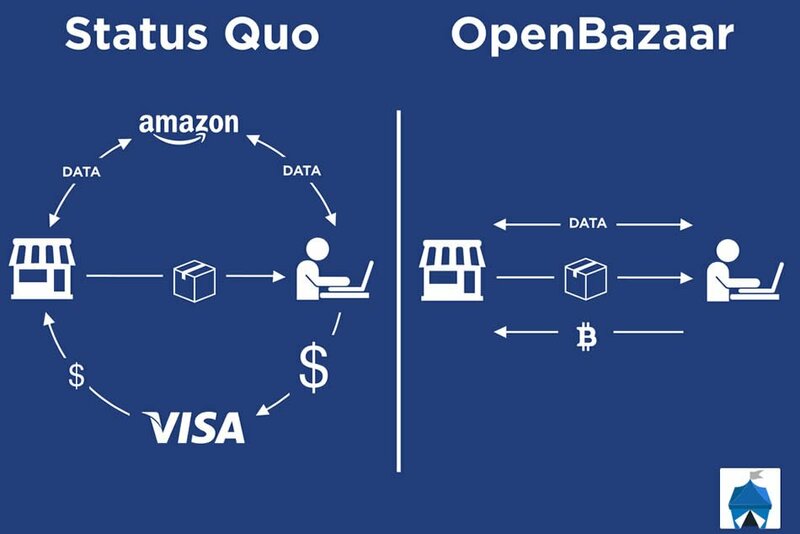 OpenBazaar was one of the first blockchain eCommerce marketplace and is probably the one closest to the true decentralised peer-to-peer platforms. To use OpenBazaar today, users have to download the program, run the installer and list items one-by-one. There is no online browser version or iOS / Android App but the core developers (OB1) have stated that this is their primary objective on the current Roadmap. Scanetchain is more complex than OpenBazaar and is perhaps trying to delivery more than consumers are quite ready for. It is a decentralised platform where users can sell both their content and goods. It is structured to bring together advertisements, products and content to form a connected ecosystem. Scanetchain is pretty unique in this space in that they use augmented reality (AR) technology to link advertising, shopping, content and social networks. In addition to the commercial platforms of advertising and shopping, Scanetchain also combine their social and content platforms with their music, video and gaming platforms to form a rather large ecosphere. It’s either going to dominate or disappear.